I am an effective and versatile design professional specialising in UX/UI for B2C and B2B platforms. Hi, My name is Rebecca Kirrane a UX/UI designer from Essex. I graduated from the University of Portsmouth in 2014 and hit the ground running into my first UI Designer role at Salmon a week after graduating. Learning at a fast pace for the last 4 years working in many companies from multi-million pound agencies, start up’s and in-house. I’ve worked with many companies such as Selfridges, Habitat and Bookatable. These experiences has given me the chance to work with some great people, which has really helped me develop into a confident designer. Outside design life I enjoy going to Women in Tech and UX events as well as running my own wedding stationary business. "Rebecca is very talented as a UX Designer and has a strong sense of business & product strategy. She's great at raising open questions, unknowns and propose a prioritised plan that resolves them, and aligns user experience, product and the business perfectly. 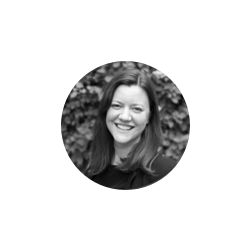 She's our go-to person at Bookatable for running workshops and mapping user journeys given her facilitation skills and attention to detail. I'd be so happy to work with Rebecca again in the future." "Rebecca and I worked together at Tangent on multiple website projects. I provided insights and strategic leadership which helped provide direction for those projects. Rebecca rigorously executed all the insights and strategies provided and brought them to life in an interesting and often innovative way with her wireframes, while considering best practice at all times. Rebecca isn't just a highly skilled UX/UI designer, but she is someone who you will say 'let's keep in touch' to, and mean it. I hope to work with Rebecca again in the future on many many more projects."